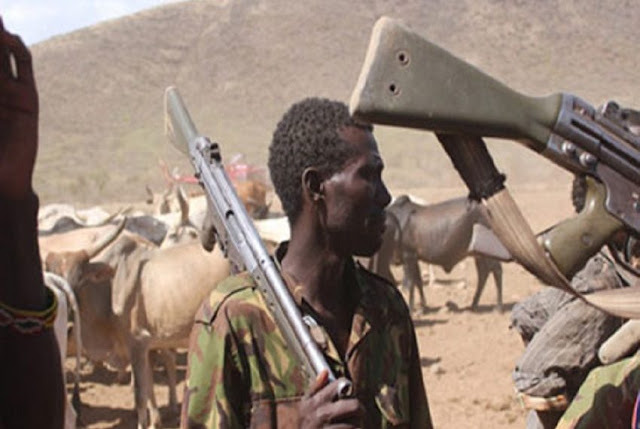 Gunmen suspected to be Fulani militias on Sunday attacked Numa village in Andaha community of Akwanga Local Government Area of Nasarawa State mowing down 16 Mada natives during a naming ceremony. The killing of the Mada natives is coming a few weeks after it was reported that some suspected herdsmen raped a Mada girl to death, a development that sparked off a faceoff between the herdsmen and the natives. Confirming the ugly incident to journalists in Akwanga, the headquarters of Akwanga Local Government, the senator representing Nasarawa North senatorial zone, Philip Gyunka, said the celebrators made up of a father, mother and their son were killed during the attack. He described the killings as unfortunate, barbaric and uncalled for. “They did not spare women or children and these were people that didn’t have arms,” he explained. Gyunka recalled that he recently moved a motion on the floor of the Senate calling on the Federal government to establish a military base in Akwanga “because Akwanga is a spot for people from Calabar, Maiduguri; they meet in Akwanga before going to Abuja. “You can see that incidents of kidnapping and robbery on the Akwanga – Abuja road. This is as a result of people moving with weapons unchecked,” Gyunka explained. “We have 16 deaths while several others were critically wounded. This attack on this community happened within a very short time. The militias interacted with the celebrators during the naming ceremony before they suddenly went on the attack. “Some of the assassins we have identified; some names were mentioned and handed over to the security agents,” the monarch revealed.